Radiohead is an English alternative rock band that formed in 1992. 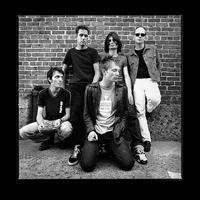 Their debut album was Pablo Honey which included their first single Creep, song which became a worldwide hit in 1992. This alternative rock sound was being heard on the radio and on many music playlists in the early 90s, but the guys from Radiohead took it one step further able to garner supporters thanks to the sounds created by using three guitars and the musical style of Thom Yorke (singer and guitarist), Jonny Greenwood (solo guitarist), Ed O`Brien (guitar, percussion, piano, vocals), Colin Greenwood (bass, keyboard), and Phil Selway (drums, percussion,voice). Vote and help decide which of their studio albums are the best.